A new head coach, a new defensive look and new prices for season tickets are just some of the changes buccaneer fans will see during the 2019 season. 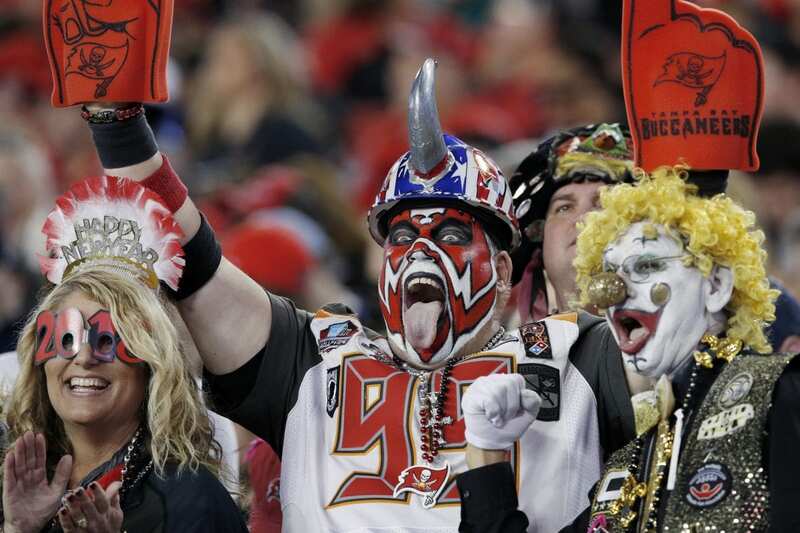 The Buccaneers announced Wednesday that they are lowering prices for season pass holders after the team experienced its worst season attendance numbers this past year since 2010. The Bucs rank 24th in the league in pricing for season tickets, with the average price for a season ticket costing fans $76.28. Tickets to a Los Angeles Chargers home game were the most expensive in 2018, with the average price for a single ticket costing fans $199.10. New England ranked second in the league, with average tickets prices weighing in at $127.04, while seeing a game in Cleveland ranked as the cheapest ticket at an average of $66.34. The NFL average ticket price came out to $100.26 in 2018. All three Florida NFL teams ranked below that average, with Miami charging fans an average of $86.36 and the Jacksonville Jaguars charging an average $72.54. Most of the savings will come for season pass holders seated in the 300 level of Raymond James Stadium. Those pass holders will see an average decrease in their prices of anywhere from eight to 32 percent with the cheapest tickets coming in at $30 per game, plus taxes and fees. Those seated in the lower level of the stadium will see tickets discounted as much as 11 percent. Not all sections, however, will see reduced prices, as some sections will remain at the same price point as the 2018 season. Those who purchase season passes receive discounts at the concession stand, along with other perks such as VIP access to the team’s draft party, invitations to exclusive member-only events and other gameday discounts. Plenty of seats were available for games at Raymond James Stadium – which seats 65,000 people for a football game – last season, with the Bucs averaging 54,356 fans per game. That ranked as the third lowest attendance in the league, bettering only Cincinnati and the Los Angeles Chargers. Tampa’s 2019 season will feature two preseason games at home and seven regular season games. 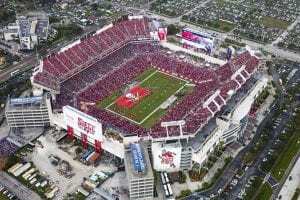 The Bucs will play its “home game” against Carolina in London next season, thus giving up the date at Raymond James Stadium. Besides NFC South foes Atlanta and New Orleans, Tampa also hosts games against Arizona, Indianapolis, Houston, San Francisco and the New York Giants.